Hong Leong Yamaha Motor Sdn. Bhd. will be carrying out a replacement programme for a series of Yamaha YZF-R25. This activity will be conducted by region in stages. Please take note that the affected units are indicated below. We will be sending individual notice to the owners of the affected units from early August 2016 onwards. Upon receiving the notice, kindly contact our authorized repair locations to make an appointment for the replacement of the affected parts. 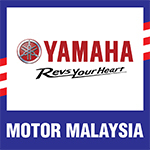 We have setup a dedicated email address r25hotlinemalaysia@yamaha-motor.com.my and WhatsApp contact +6017-357 9965 to attend to your enquiry, should you need further clarification. In the meantime, do continue to ride and maintain your motorcycle in accordance to the instructions in the owner’s manual and ask for your patience.